We all know that sometimes, eating too many burgers, and overly juicy burgers, can be bad for your health. But, that doesn’t mean that you’ll ever have to give up your favorite burger meal or suffer from enjoying it. Actually, a healthy burger is definitely an option if you carefully choose your ingredients and put your trust in the 100% USDA choice all-natural Nolan Ryan Beef® served at Chapps Burgers. This is of huge importance when discussing health in regards to your meat choice. After all, there’s no better alternative and we at Chapps are proud to present you with all the benefits that Nolan Ryan Beef can offer. But, of course, there are plenty of other tips that will make your burger choice the healthiest and tastiest option for you! 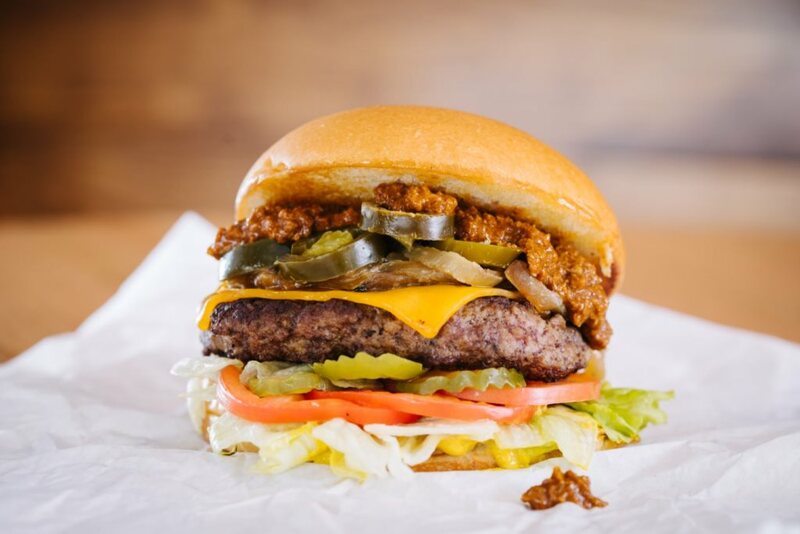 Aside from the delicious Nolan Ryan Beef, you can count on the freshest vegetables at Chapps Burgers. Farm-fresh vegetables are shipped to our restaurants at seven different locations every day; after all, our perfect burgers and customers should never settle for less! Even if you’re not making a vegetarian meal, you can still enjoy a healthy burger with plenty of tomatoes, peppers, onions, greens, and mushrooms. In the end, the mix of flavors and textures will undoubtedly satiate your palate. But, you can also order a veggie burger at Chapps, so don’t hesitate to pay us a visit as we cater to a variety of tastes and diets. Using spices on your burgers can also boost their healthy effect. Basically, spices contain antioxidants which help strengthen your immune system. And a healthy burger will only be more delicious with the right blend of spices! At Chapps Burgers, you have plenty of options when it comes to spicing up your burger delight. You can always count on the traditional, tasty and warm white bakery bun at Chapps Burgers. But if you’re concerned about making your burger healthier, you can always choose our wheat bakery bun. Of course, if you’re thinking about an ideally healthy burger, it would definitely be best to go bunless, but, a wheat one is truly the best possible alternative. Still, if you want to avoid bread at all costs, it’s always great to pair our delicious burgers with our famous French fries; you can count on the fries being whole fresh potatoes just a couple of hours before serving. Finally, the way you go about your toppings can affect the health aspect of the burger considerably. Of course, we at Chapps Burgers are very proud of our menu and the variety of cheeses and toppings we offer to our customers. However, you may want to be more careful when crafting your perfectly healthy burger. For instance, you may want to skip the mayo, but that doesn’t mean that you can’t enjoy the taste of your burger equally and maybe even more with avocado and/or grilled jalapeños/pineapple/mushrooms. Explore the world of tastes and food combos and you’ll soon realize that healthy and delicious go perfectly well together!